green living, natural beauty, and ethical subscription options from a passionate expat. When it comes to subscription boxes, there are a few things that are musts for me: everything in the box must be cruelty free and all natural, and preferably vegan, the products need to be decent sizes, the value needs to be there (otherwise I would just buy myself 5-7 items! ), and there needs to be some element of surprise. For me, there is nothing worse than itty bitty products in sachets, an RRP price pretty much on with the cost of the box, and items that have featured heavily in other rival services. 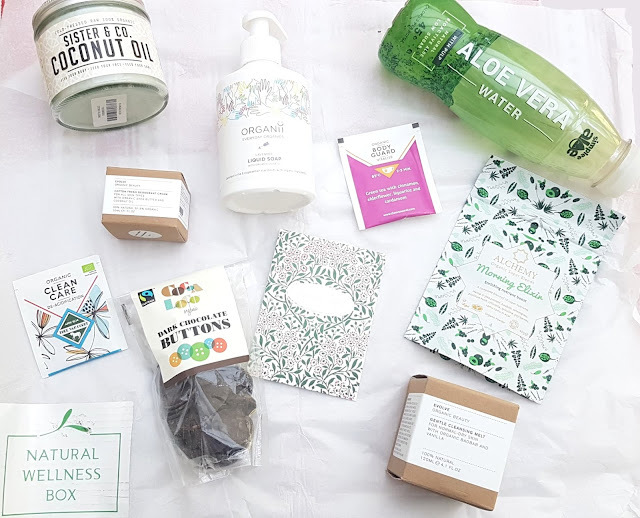 Natural Wellness Box, a bi-monthly ethical subscription that started up in March of this year, hits all of my requirements and more. Not only does it take a unique approach to natural beauty by tackling it from the inside out, but the box thoughtfully selects contents based on the seasons and the given theme each month. Both editions so far have featured only full size and deluxe size products, have had contents worth much more than the paid price of the collection, and have been themed perfectly around aspects of holistic health. Plus, as an added bonus for those of us worried about reducing what we waste, there has been minimal excess packaging and almost no plastic in sight! The launch box for "Beautiful Skin" was worth over £70 and included a body oil from cult skincare hero Guiltless Skin along with several pieces from one of my favourite affordable organic brands, Balm Balm, a jar of beauty elixir supplement from Kiki Health, a guilt-free snack from Superfoodio, and a box of wellness tea from Pukka. The items all targeted healthy skin, cell renewal, and complexion, and I loved how everything could work as a team to address diet, skincare routine, and vitamin and antioxidant regulation all at the same time. Well, when I was asked to review this month's Fresh Routines edition, I knew I could expect the same level of perfection and I was so excited for the unboxing. While I had seen a few sneak peeks, the majority of the box was a mystery waiting to be revealed! The May edit is themed around the goal of spring cleaning our bodies -- it is all about starting new habits and kicking old potentially harmful routines. Did you know that it is estimated that on average a person absorbs over 2,000 grams of chemicals just from beauty products alone? Consider how many daily essentials we use, and how many of those might contain nasties that have negative effects on our health. Now add in the synthetic additives and artificial ingredients found in the food and beverages we consume. It is a scary thought! Natural Wellness Box hand picks brands that do not contain any known toxins so that we can all start fresh and begin to lead a life without all the added junk. The Fresh Routines box contains nine items overall, almost all of which are full size. Of all the goodies that were included, I have only ever heard of two of the brands and only ever tried one of the individual products -- for me, this is a great start! There is something to help rework every area of life, from the kitchen to the bathroom, and a lot of multi-purpose items as well which is always fun. I loved the Organic Dark Chocolate Buttons from Cocoa Loco, and was so appreciative of a delicious vegan snack that even my partner could enjoy. Quality dark chocolate comes with high levels of magnesium, fiber, iron, and other nutritious minerals, and is also a great source of antioxidants. In moderation, it is believed that dark chocolate can lower blood pressure, protect your skin against the sun, and even improve brain function -- just the sort of benefits that I want to see in Natural Wellness Box! The buttons were the perfect size, and were the perfect level of bittersweet. I found myself grabbing two or three throughout the day to curb my wish for something tasty, and felt they worked as a fab reward for when I got my work done for the day. Ingredients: Dark Chocolate containing cocoa solids 73% minimum (cocoa mass, sugar, cocoa butter, vanilla powder). The Simplee Aloe aloe water was probably the biggest surprise for me, as I was not expecting to enjoy quite as much as I did. It is slightly sweet without having an extraordinary amount of sugar (2.3 grams per 100ml) and has a consistency almost like bubble tea due to the pulp (without the insane sweetness boba has after those capsules pop in your mouth!). I knew aloe vera was great for healing and soothing sunburn, but what I did not realize was how good it was as part of our diet -- apparently it is known as an original superfood and was 'the plant of immortality' to the Egyptians. Plus, the water has over 200 biologically active ingredients and is 45 calories per 500ml size bottle. All of that in one container of yummy refreshing goodness? Yes please! There were also two individual packets of organic tea from The Van Ooordt, a name I have not heard of before but will definitely be looking out for in the future. I got "Body Guard" which is made with green tea, cinnamon, elderflower, liquorice, and cardamom and works to vitalize the body and mind, and "Clean Care" which contains coriander, fennel, cinnamon, ginger, marjoram, and elderflower and targets de-acidification. Both were unique in flavour, and I appreciated the very specific instructions on brewing temperatures and steeping times. I have to be honest and say all of the above treats did not make it past the first few days of me opening the box -- the chocolate buttons disappeared with the help of my partner, as did the aloe vera water and both packets of tea. What can I say? They were all delicious! I have also already used a good amount of the Morning Elixir nutrient boost, and have been using the other four items daily as well -- overall I would have to say this box was a hit for me. Next up in the May collection is a Voyager packet from Alchemy Superblends worth £6. Morning Elixir is an organic daily wellbeing blend that is packed full of vitamins, antioxidants, and minerals ideal for keeping you 'satisfied naturally' from breakfast until it is time for your next meal. This nutrient rich supplement is meant to be taken early in the day, and can be either a superfood shot or as a total substitute for breakfast. What is really amazing about this powder is that just 10 grams contains 100% of your daily Vitamin C, as well as 15% folic acid, 20% iron, 35% plant protein, 30% fibre, and a host of antioxidants. All that without any unnecessary fillers or added sugars! I am always a little hesitant about superfood powders like this as I have had some pretty horrific tasting ones, especially ones containing spirulina, but this wasn't too bad! I decided to mix it in with my smoothie, and I honestly couldn't taste too much of a 'green' flavour over my berries and bananas (and a bit of coconut oil - but I'll get to that in a minute!). The full size bag of this is a little pricey, but I might have to take the hit as I haven't found too many other supplements that I can stomach! Coconut oil seems to be one of those things that was in fashion for a while but has quieted down some in the last year or so. Well, I have never jumped off the train and so was thrilled to find a full size jar of Organic Raw Coconut Oil from Sister & Co inside the box. This stuff truly is the ultimate multi-tasker, as it can be used like a body lotion, as an oil cleanser, in the bath, as a hair mask, for dental hygiene, or even in cooking. Since coconut oil has antimicrobial qualities, it is ideal for protecting against skin infections like acne or athlete's foot, plus it can aid with chronic inflammation in conditions such as eczema and contact dermatitis. It is great for keeping your skin moisturized, so any dry patches of skin beware, and has a naturally fragrant smell which is great for those who want to have a lightly tropical scent without packing on the perfume. Personally, I cannot use the stuff on my face or scalp as those areas of my skin get congested very easily and do not seem to get on with coconut oil, but I have been having a great time using this in sauces and smoothies. Coconut oil, while much higher in saturated fats than other products like butter and olive oil, is particularly good at raising HDL (the good cholesterol that can help protect against heart disease). As a macronutrient, coconut oil can be a great addition to your diet in moderation and in responsible portions, as it can boost energy levels and cause a feeling of fullness that can lead to less calorie consumption. Just don't start guzzling the stuff thinking it is the ultimate superfood. Ingredients: 100% natural, organic, food-grade, vegan, vegetarian, dairy and gluten free. I was super excited to see Evolve involved with Natural Wellness Box, as this organic brand makes high quality and high performing products that I have always been impressed by. Inside the Fresh Routines collection was a full size 30ml jar of their Cotton Fresh Deodorant Cream (RRP £10) and a full size 120ml pot of the Gentle Cleansing Melt (£20). The deodorant I have actually used before, and I really like it. The cream has a little bit of graininess at the start due to the corn starch and bicarb, but goes on really easily and smoothly and the feeling melts away within minutes. The scent does not resemble the key ingredients of shea butter or coconut oil at all, but is instead like newly washed linens -- you know, the ones hanging on a line outside on a warm summer's day. I usually prefer unscented items, but this is genuinely nice and works to help keep you fresh all day long. I do find this 99% natural deodorant is effective, and I also find it gentle enough to use directly after shaving which is not always the case with biocarb based items. The best thing about this is that it does not contain aluminium, one of the nasties with potentially harmful effects found in almost all common deodorant brands. For someone starting out in the world of green alternatives to high street brands, this is a great product find! 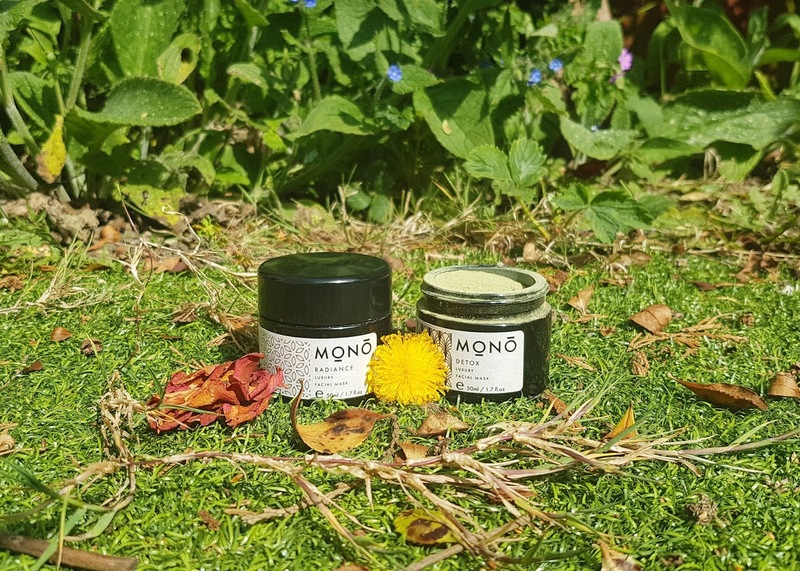 The cleansing balm was a nice treat, and while I have used one or two balms before for cleansing, it was still something relatively new for me. I always worry about introducing heavier products into my face routine, as I do suffer from hormonal acne and congestion-prone skin in my t-zone. I was especially tentative as coconut oil is a main ingredient in this product, and that never seems to get along with my face in particular. However, the Evolve Gentle Cleansing Melt did not leave me disappointed and left my skin clean and clear. The cleanser smells faintly of vanilla which makes it feel extra luxurious, and has a very thick and slick texture. It glides right over skin, and if you massage for long enough it does actually start to sink in pretty well which helps with the moisturizing properties of the baobab. Since it is so heavy, you only need to use a tiny amount -- I would say about the size of a pea depending on your skin type. The instructions say to massage onto a dry face and neck, then add warm water to "form light milk" before rinsing off. I cannot say that I noticed any foaming or milkiness at all, but that did not make or break this for me. What won me over in the end was how soft my skin felt after using this, and how healthy my face looked. It definitely left me more radiant than when I first started using it. I am really looking forward to seeing how this fairs during the warmer months, as this is when my skin tends to have the most issues. Last, but certainly not least, is the Organii Liquid Hand Soap, a perfect solution for those looking for a more natural option for the bathroom or kitchen. I have used a few products from Organii before, but not their lavender hand soap, and I have to say I was really happy with this inclusion! I got the lavender scent which is divine and fills up the room with the calming fragrance. One thing I love about this is how simple the ingredient list is -- just seven components that work together to ensure clean hands that are free from germs without being stripped of natural oils. No preservatives, no harsh additives, no colourings -- just soap! The soap itself foams well without containing the dreaded SLS, and leaves my hands soft and refreshed. This 300ml size bottle is going to last ages, and while the container is plastic, I have a feeling this will get me trying my hand at making my own formula once the Organii liquid is gone. Altogether this month's collection is worth over £60, and I was so happy with every single item. Nothing left me wanting more (well, except maybe the chocolate buttons because they were SO good! ), and I was really pleased to discover so many new names. This is a subscription box I will definitely be following for a long time, and I will be dipping in and out of the one off boxes as needed. If you are interested in the Fresh Routines box, be quick as there are only a few left before they are gone for good! Subscriptions are £35, or pre-pay to score your boxes for as low as £32.50 each. You can even grab 10% off your first order by using WELCOME10. 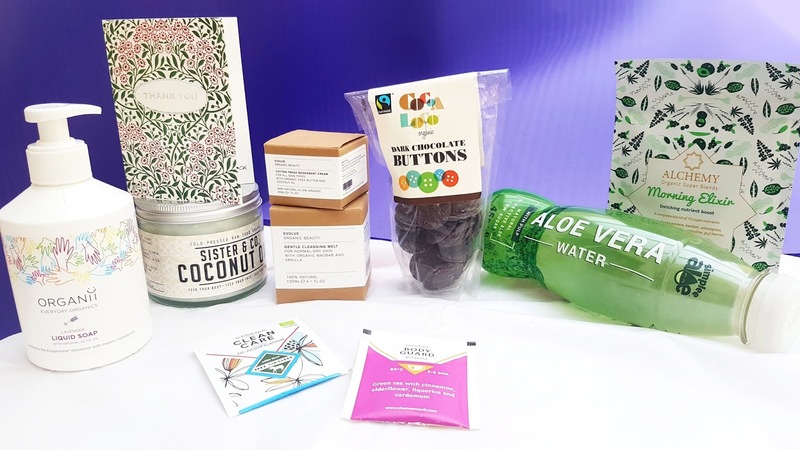 So what do you think of the May edition of Natural Wellness Box? Do you think this is something you would be interested in grabbing? I would love to hear your thoughts on this holistic approach to beauty in the comments below! Boxed like this are a great way of trying new brands. I like the look of the aloe vera water especially. This sounds like a great box! I love coconut oil and sometimes apply it on my hair too. It leaves my hair so soft and silky. 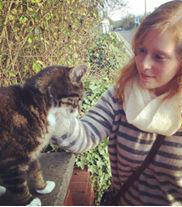 This is right up in my street. 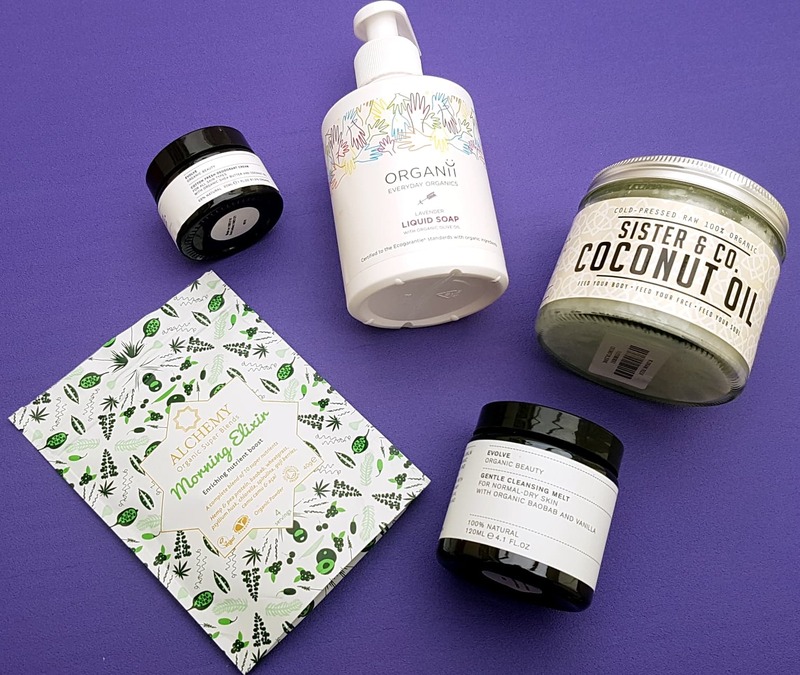 I love subscription boxes - especially if they are full of lovely natural products! I haven't heard of the ecoLogical subscription before but it looks great! I love that everything is cruelty free and that a lot of it is vegan. It's a great price too for the value of the products inside. it's Natural Wellness Box actually - but agree it's fab value! Sounds like great value for those interested in these kind of boxes :) Full size bottles to test are also great! A one stop shop for all your ethical beauty needs! Your one stop shop for luxury eco-certified natural cosmetics!